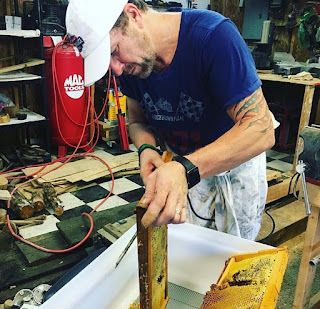 Dickson resident and country music entertainer Craig Morgan will host an open-to-the-public event at his family-owned-and-operated farm-to-home business, The Gallery at Morgan Farms, next week in celebration of Tennessee Craft Week. On Tuesday, October 9 from 10:30am to 12:00pm central, Morgan Farms will host shoppers and guests during Tennessee Craft Week to promote local handmade arts and crafts and celebrate the beauty of craftsmanship. Craig will be in the store that morning, creating an artisan item as guests learn more about the wood lathing and carving process. Tours of the building, originally constructed in 1912, will be available including the 2nd floor event space, The Loft at Morgan Farms. Craig will also give an acoustic performance during the daytime event.